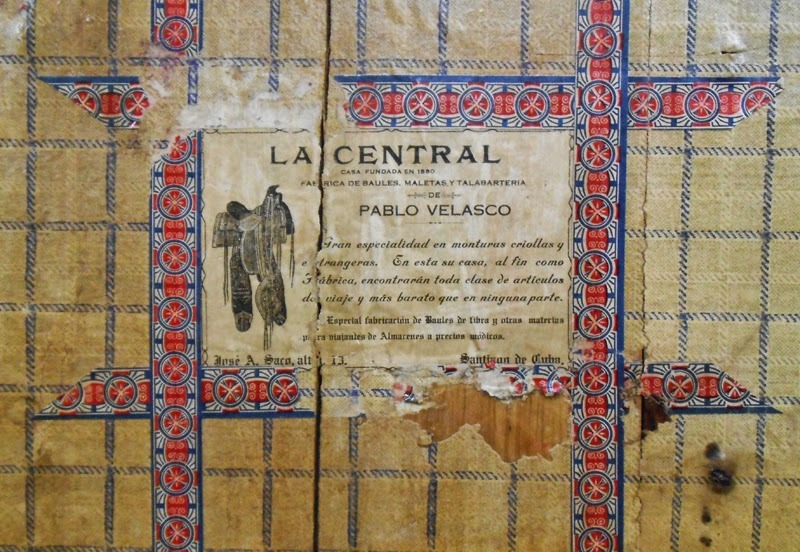 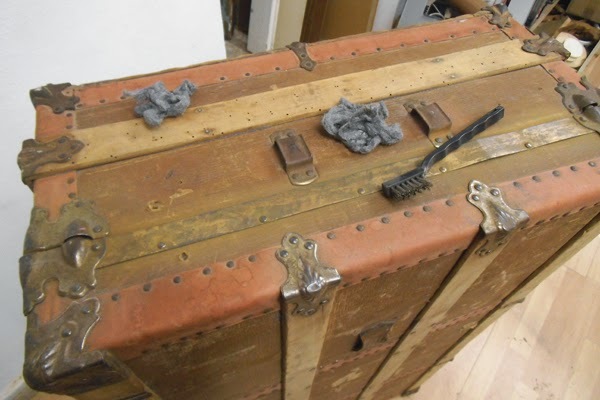 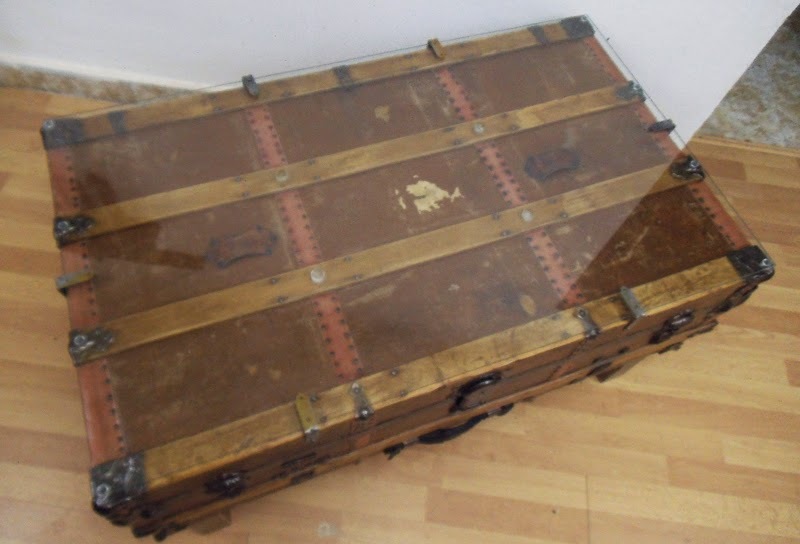 I got this magnificent late19th Century trunk from an antique dealer that assured me that it belonged to an actress that used to perform in Barcelona's Liceu Theater around 1900s. 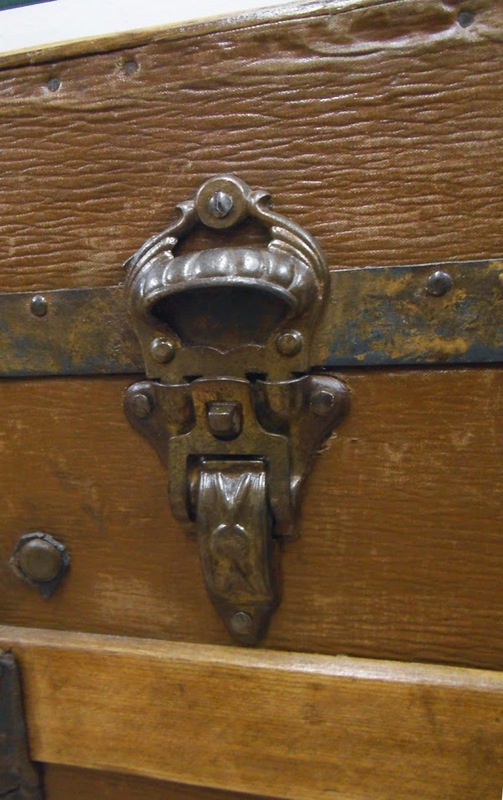 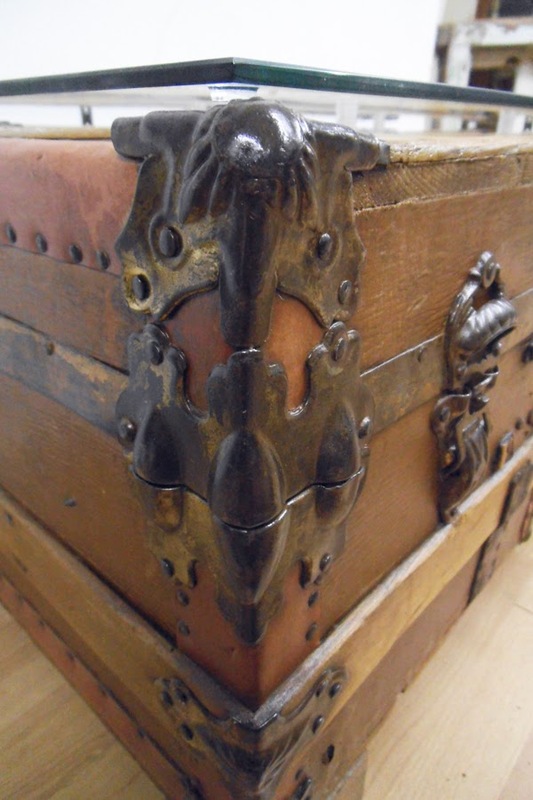 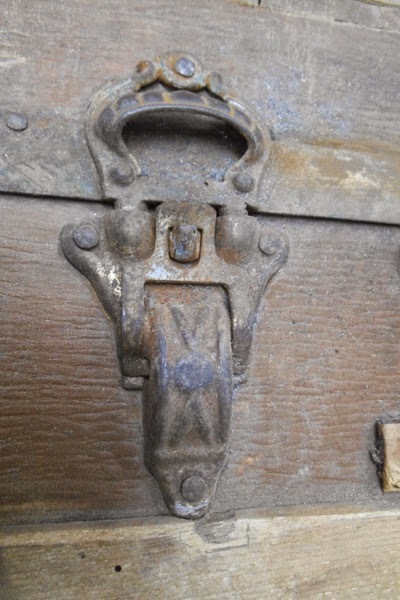 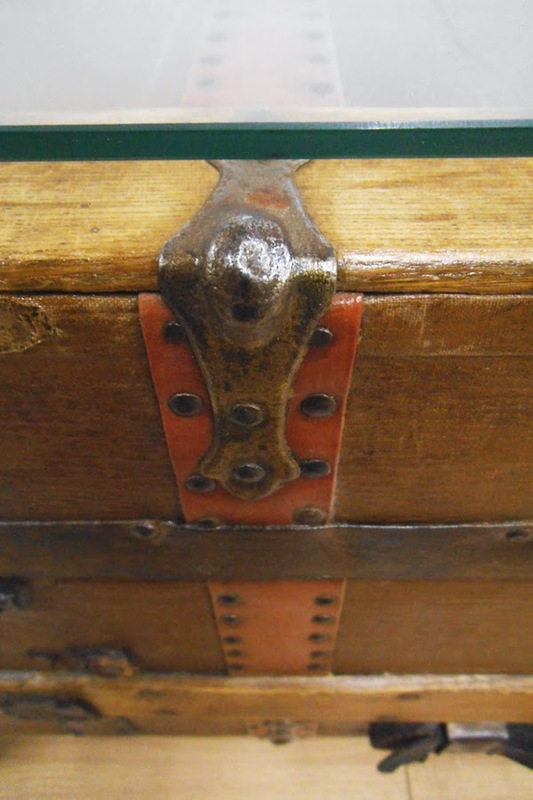 Wether that's true or not, this antique chest is certainly a beauty! 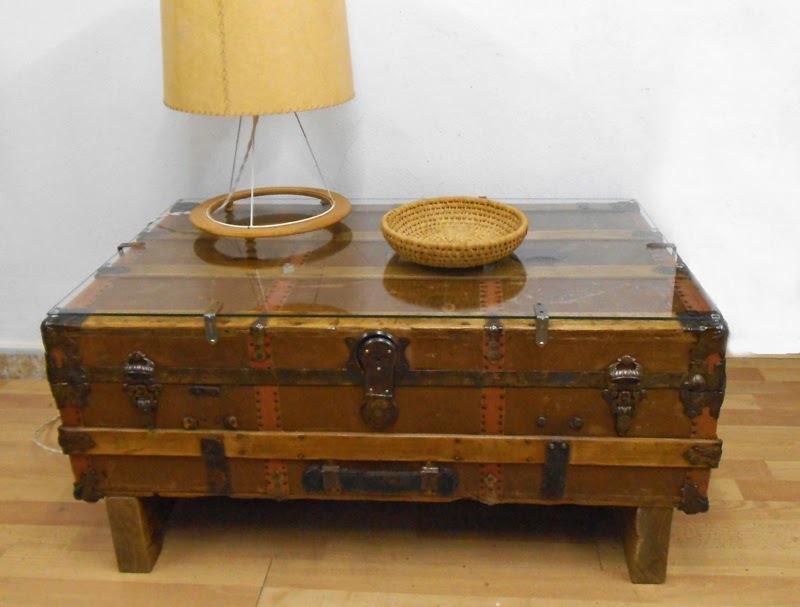 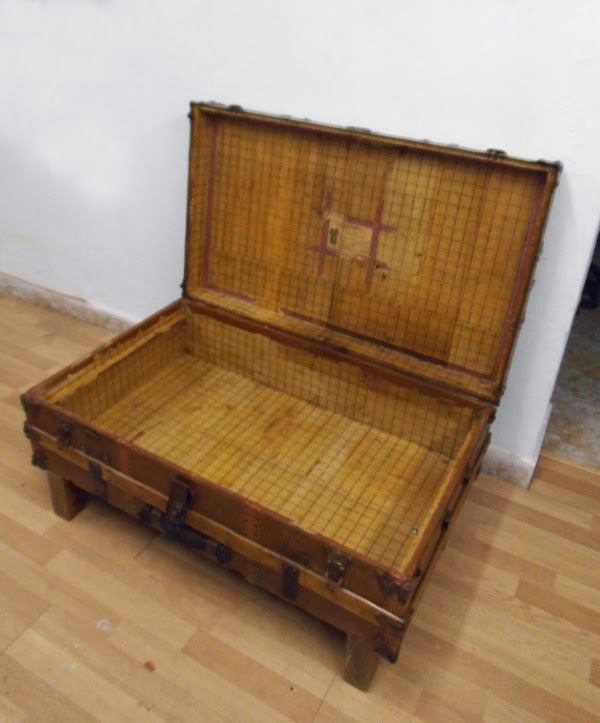 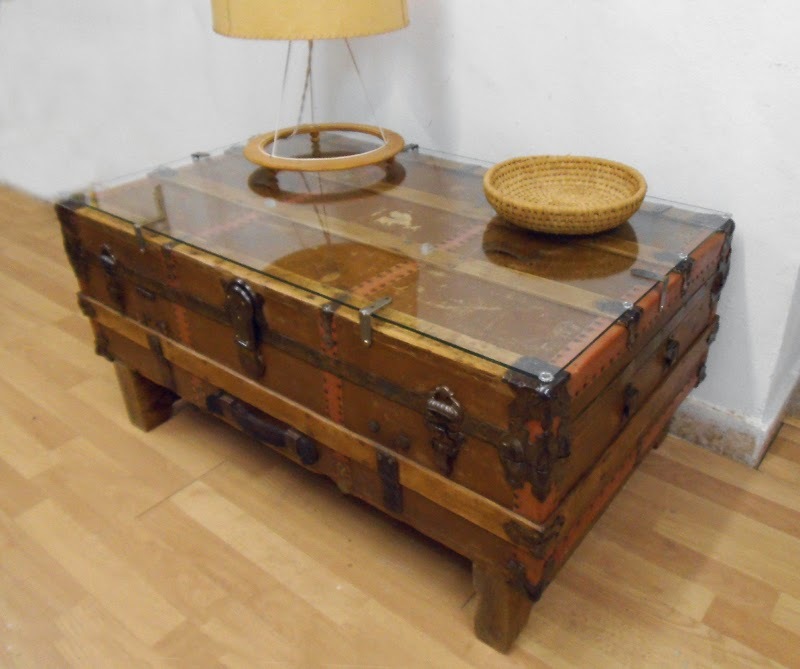 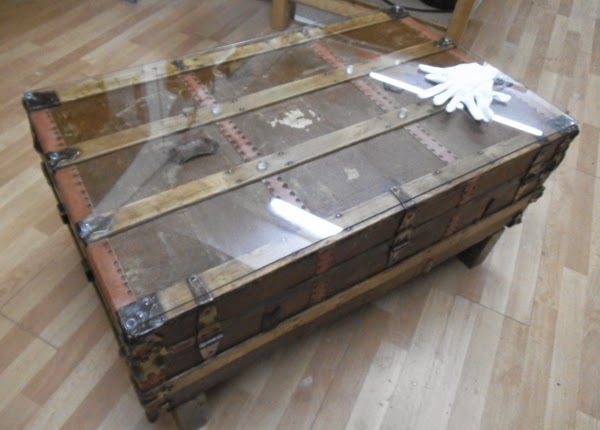 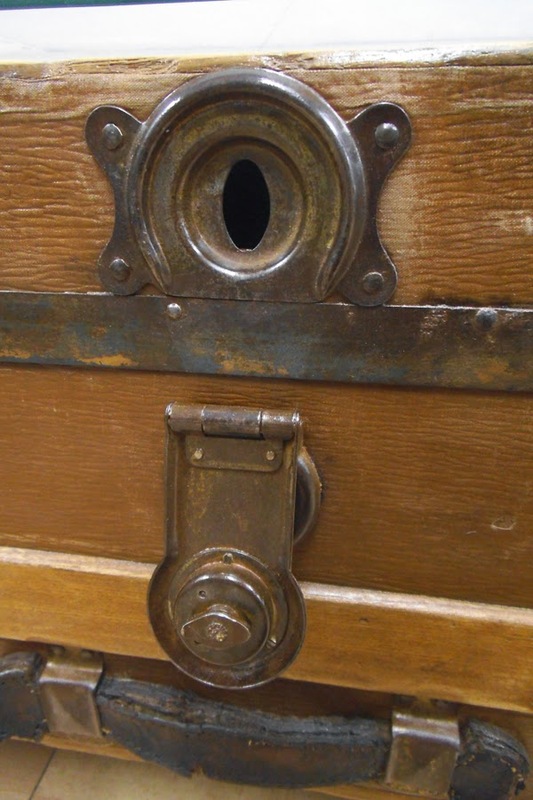 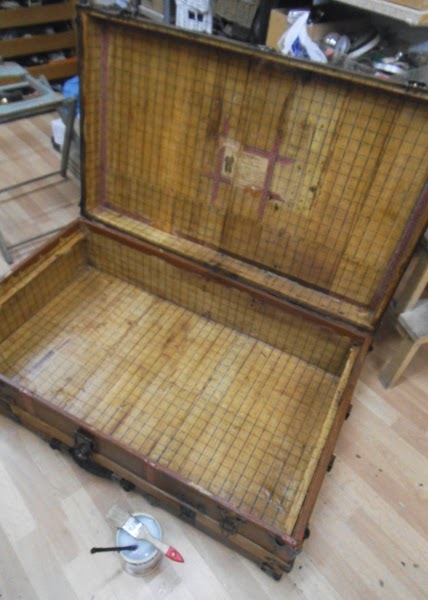 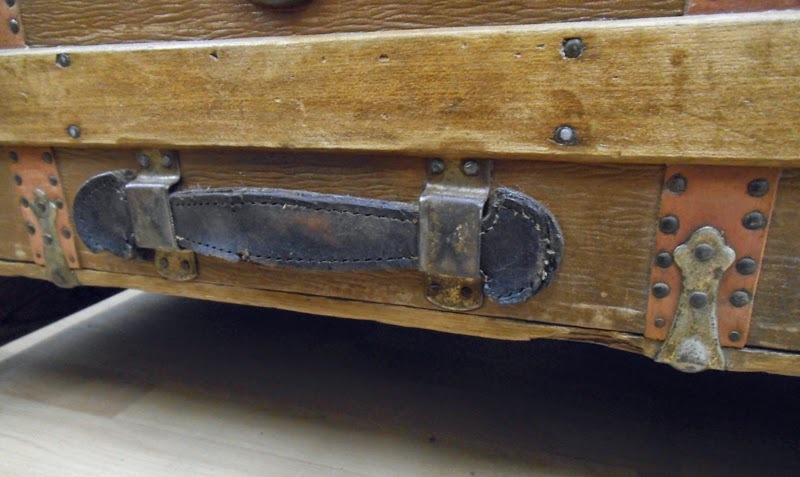 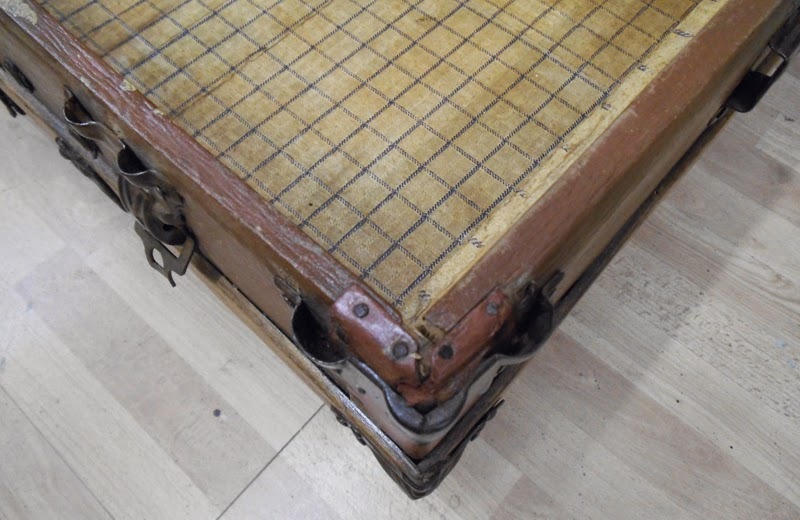 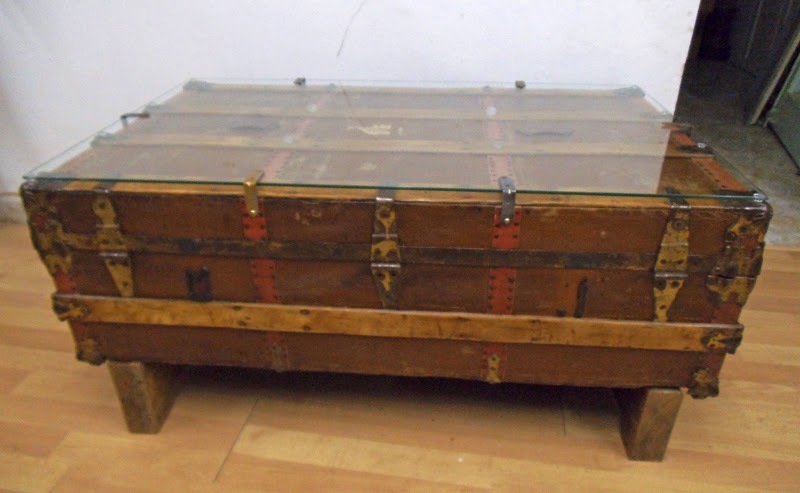 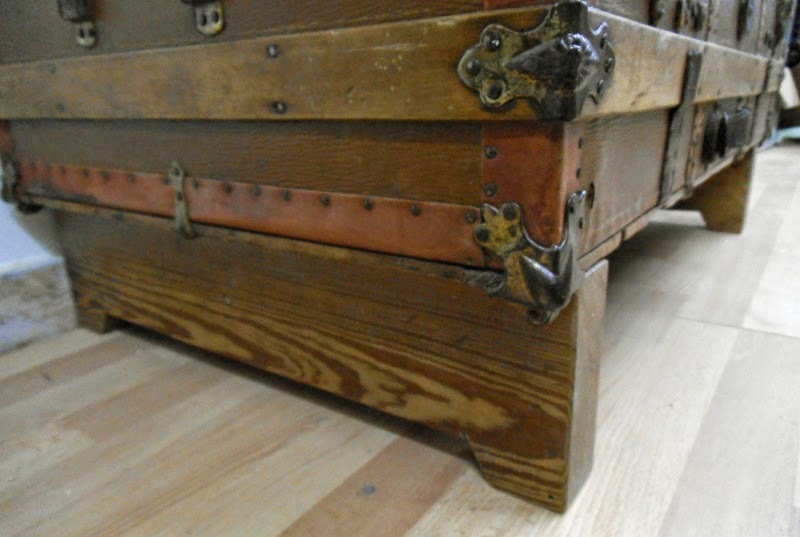 The style of this low trunk is called 'Steamer Trunk', and this particular one was handcrafted in Cuba, using pinewood for the structure, beech wood slats, tin sheet to protect the bottom, printed paper for the inside, leather straps and handles... the pretty ornated brass metalwork includes corner bumpers, hasps and edge clamps. 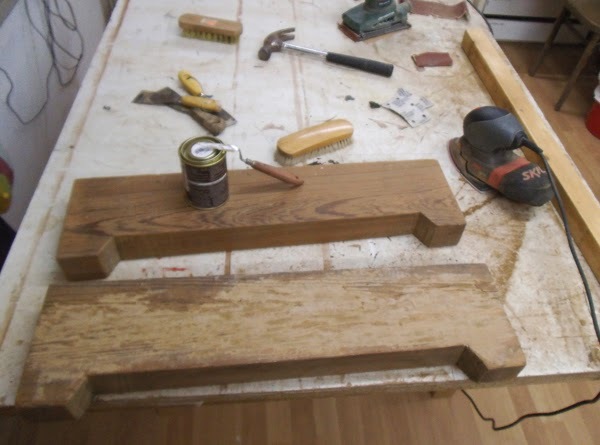 Check the pictures below and the 'making of' section for further details! 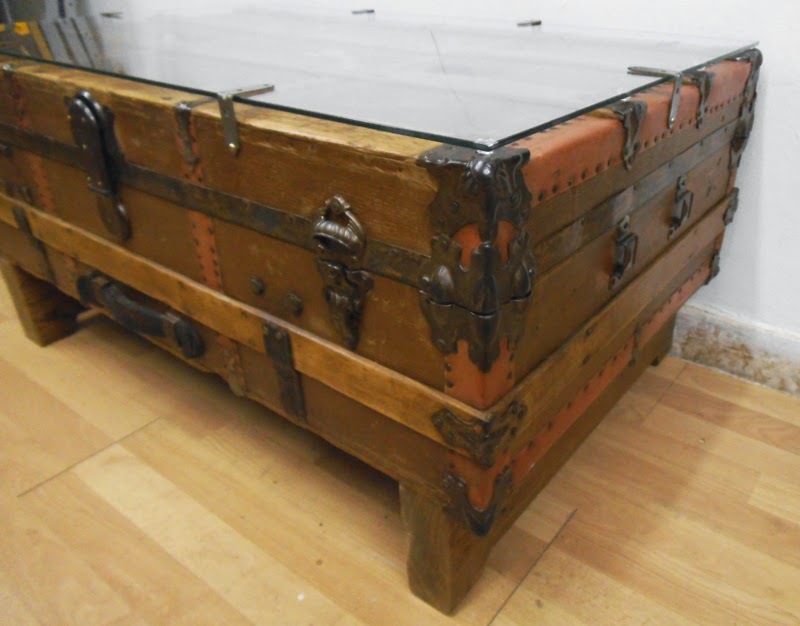 To turn it into a practical coffee table I have added a thick glass top that is secured to the lid of the trunk with clamps, plus built a structure made out of reclaimed hardwood beams to function as legs. 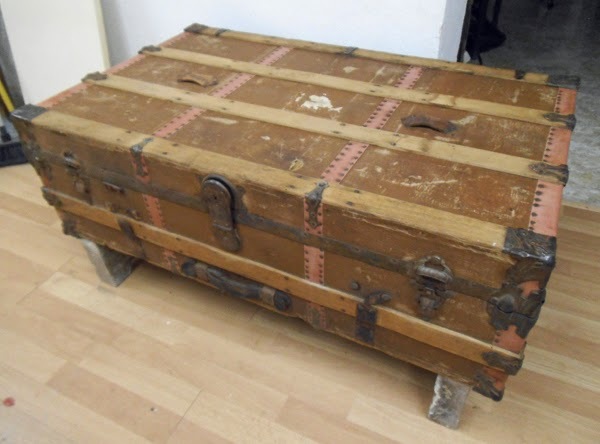 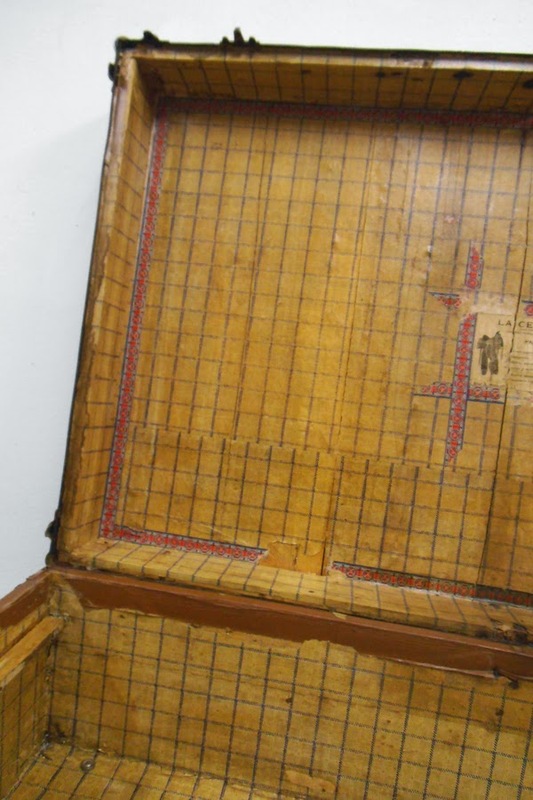 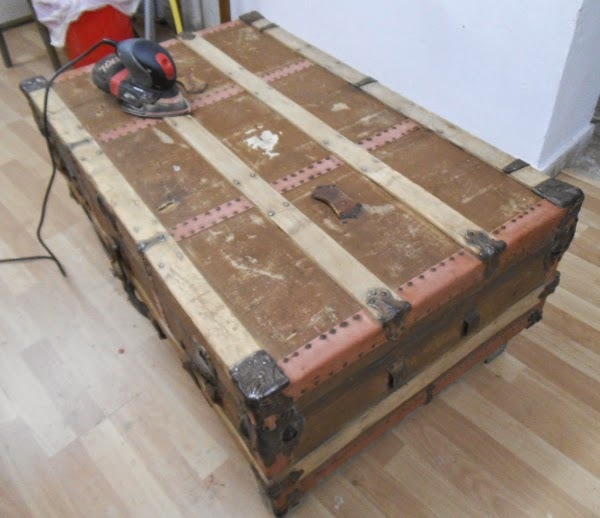 Measures of the trunk: 101 x 61cm, 31,5cm high. 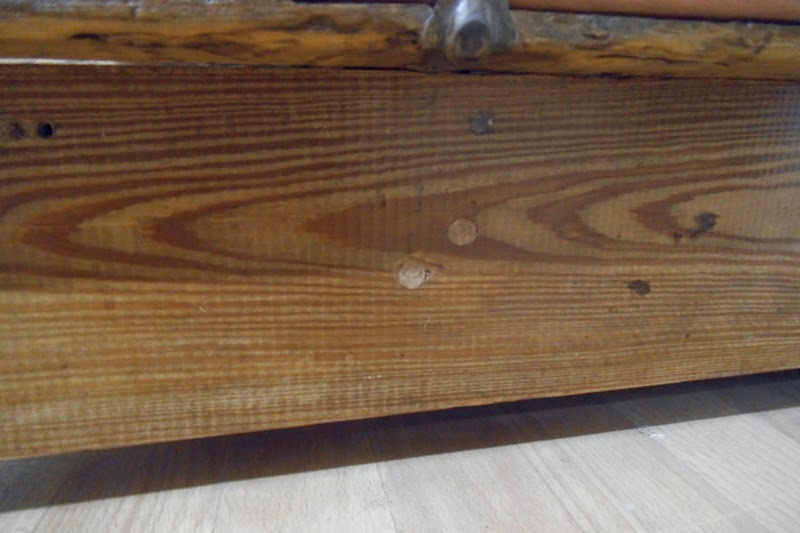 Coffee Table eight: 48cm. 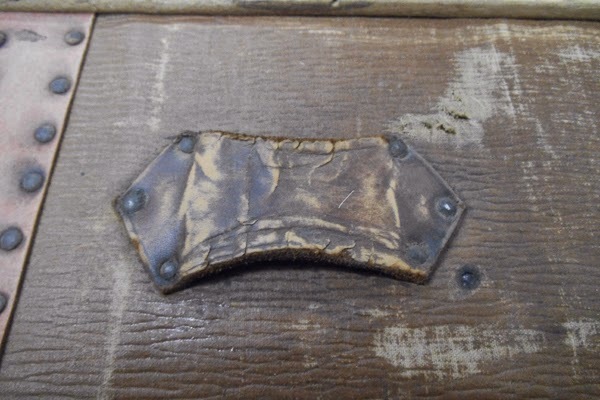 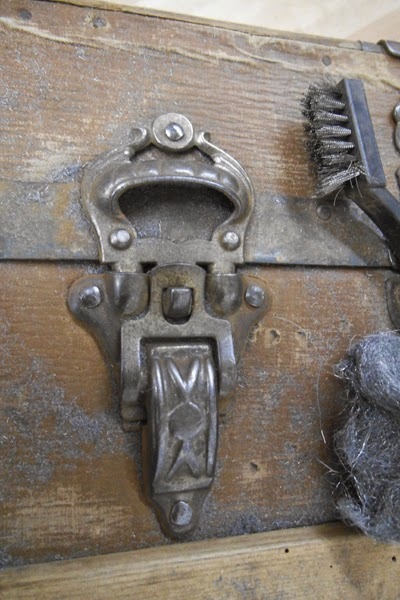 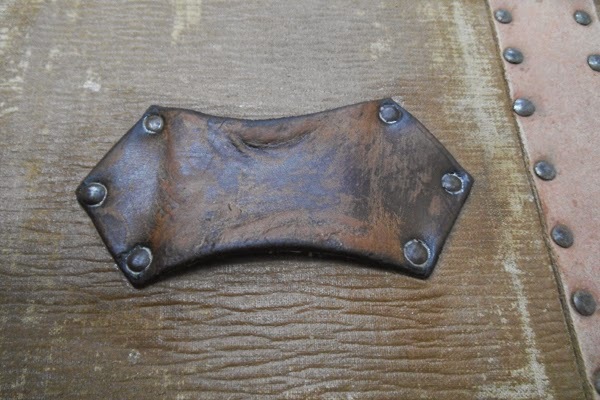 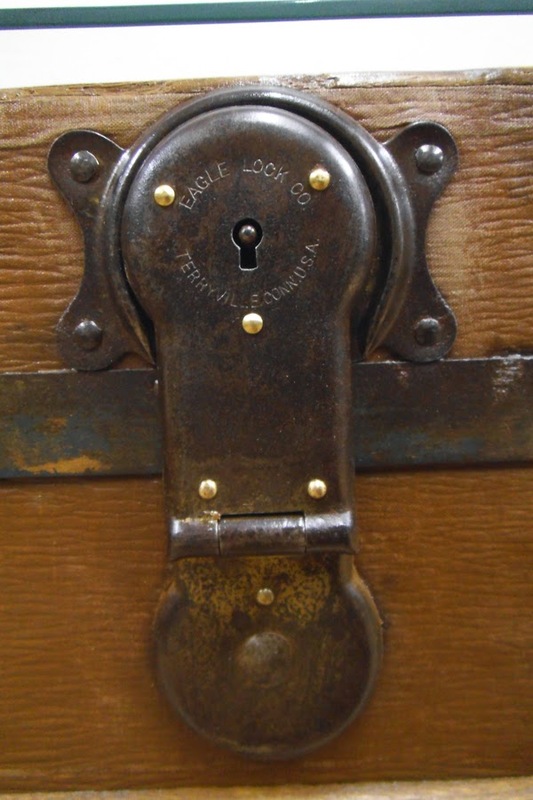 The Eagle Lock Company, established since 1833 in Terryville, CT (USA), was by the end of the 19th Century the largest trunk and cabinet lock maker in the world, and stayed at the forefront of padlock security for a few decades. 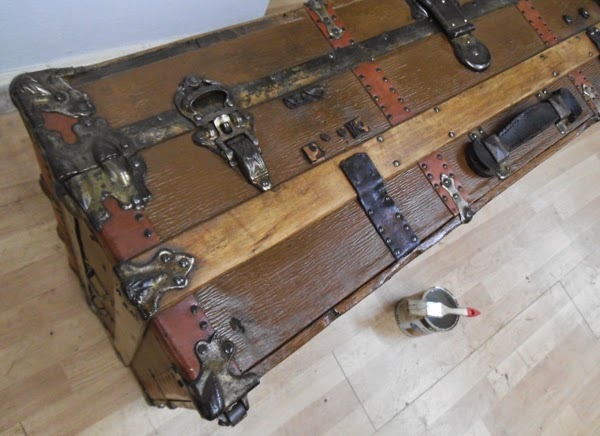 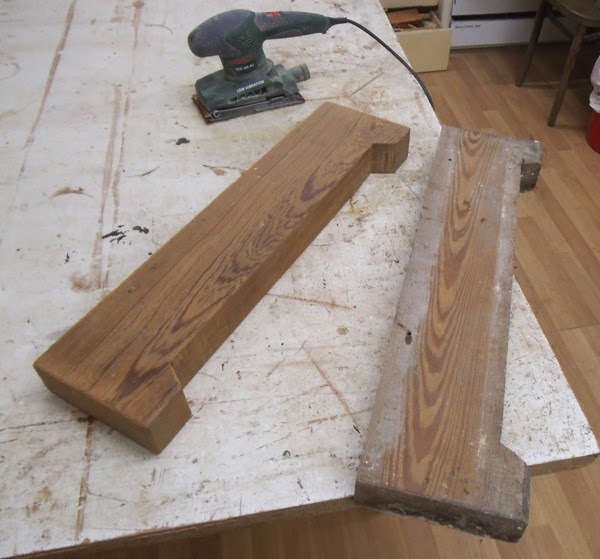 Here on the left, the trunk before its restoration, resting on the hardwood beams that were also yet to be treated. 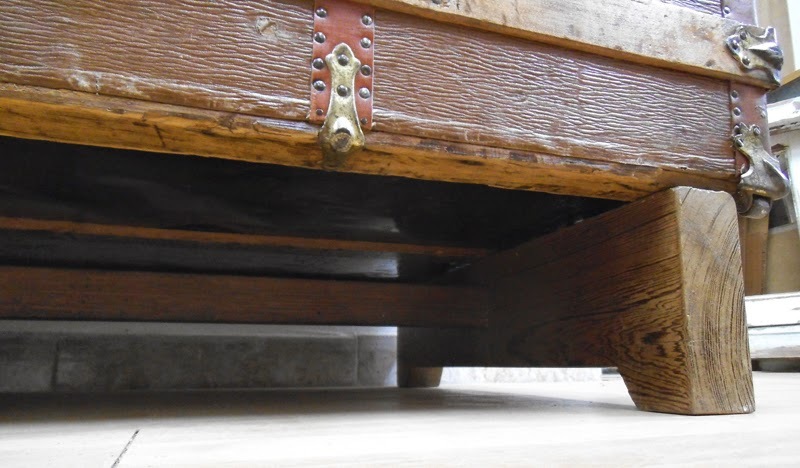 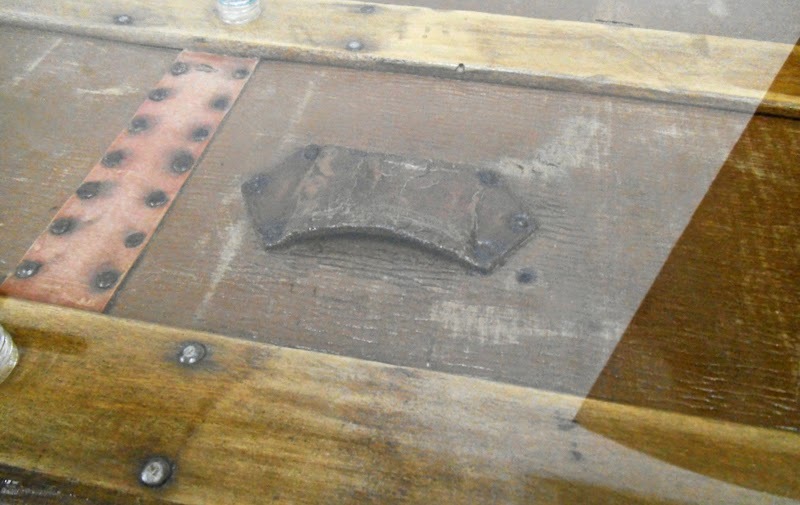 The stouty legs are screwed to the bottom of the trunk, the picture on the right shows the screw covers, reclaimed from old drawers. 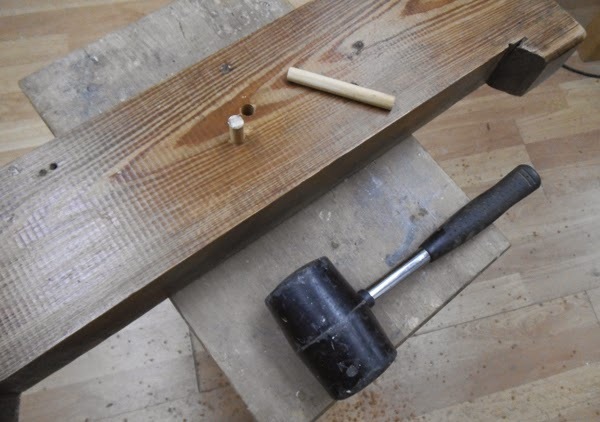 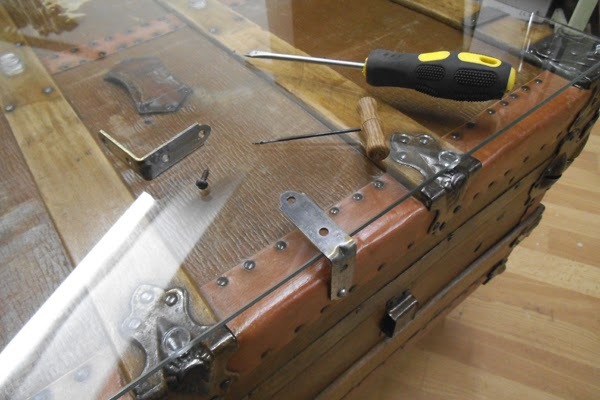 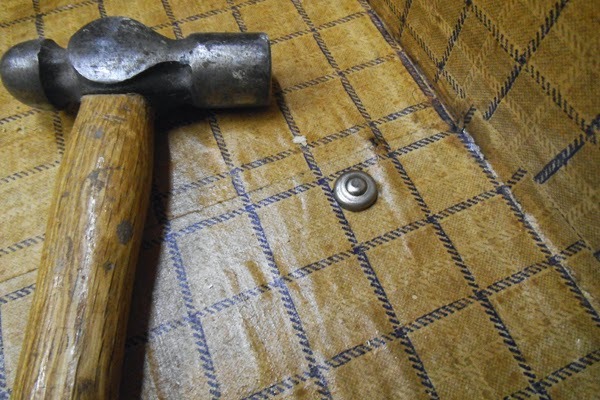 The final stages: fastening the glass top to the lid by means of nicely shaped edge clamps that were weathered here in the workshop to match the look of the trunk.